You’ve likely had people tell you to snap out of it, to be rational and to stop feeling so anxious and panicking over nothing. They just don’t understand that anxiety and panic attacks lie deeper than the conscious mind, so you can’t just think your symptoms away. You’ve been deprived of a full, happy life for far too long! 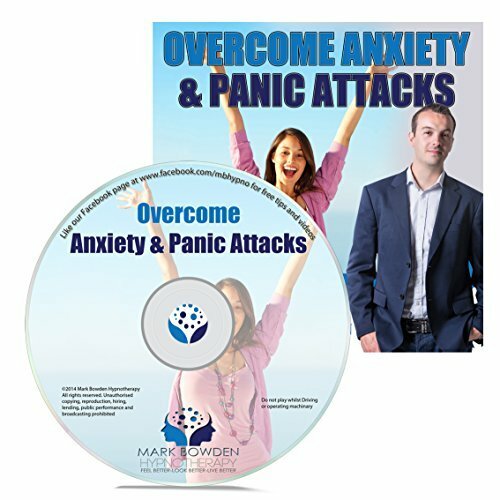 Mark created this CD, so that you can finally get relief from anxiety and panic attacks. Try it risk free. You have nothing to lose but the symptoms that are destroying your life. Get on the path to calmer days, fewer physical symptoms and an overall happier life. Order How To Deal With And Overcome Anxiety And Panic Attacks Hypnosis CD today. Hypnosis is a proven technique that allows people to reprogram their subconscious to change unwanted behaviors. Most books on self-hypnosis require the reader to memorize or record scripts, then put the book aside while they do their hypnosis work. 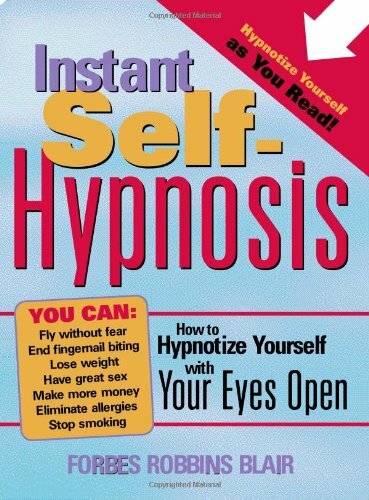 But Instant Self-Hypnosis is the only self-hypnosis book that allows you to hypnotize yourself as you read, with your eyes wide open, without putting down the book. The author’s fail-proof method allows you to put yourself into a hypnotic state and then use that state to improve your life in myriad ways. And because the hypnotic state is induced while you read, you remain aware of your surroundings and can bring yourself back to normal consciousness slowly and gently, using the instructions provided.